A friend of mine and I were talking Saturday between woodcock coverts (Thanks for the invite, Sandy!) about how shocked some people seem to be nowadays when you do something nice for them. It’s a shame, and I sure hope we can get back to a world where doing nice things for people is as common as air. It got me thinking about all the folks who have been nice to me over the last year. I hoped to myself that I had thanked them sincerely. They are too many to recognize in this post, but I did want to mention a few, not by name, but they will know who they are. Many fellow quail enthusiasts sent me e-mails or gave me phone calls to simply say, “hang in there, we appreciate what you all are trying to do.” That means a ton, as we get negative comments sometimes and they can get to you. Thanks to those of you out there who understand and who are trying to help bobwhites…those who recognize that you have to be part of the solution. I am “between bird dogs” as bird hunters say who do not have a good dog to take afield. I have three dogs at home that I love and feed, but due to a combination of my circumstances and ineptness at dog training, I don’t hunt with them. One is my Daughter’s little “country mutt” that we adopted from the local pound at about 8 weeks – the dog loves me, as I fed, cradled, and cleaned up after her until she could fend for herself. But she’s into squirrels not birds. A special “friend” in King and Queen County, who would not want his name mentioned, invites me at least once or twice a year to benefit from his enormous habitat efforts, and his pre-season release system that has worked well for him (not to mention his superior bird dogs). We went the Sunday before Christmas and found 11 coveys in 3 hours. Thanks to all of you who have taken pity on me and shared your dogs and coverts with me. I am getting a puppy this spring – I’ve come to see there is never a “good time” to buy one, and as each year passes my bird hunting life ebbs. What’s one more dog anyway? Hopefully next year I’ll at least be able to get out and train and at some point again enjoy that relationship with a good dog. It’s all about friends, both canine and human. I got an e-mail back in October from a “quail friend” over in Chesapeake. He’d seen my blog post on my home habitat project back in summer. 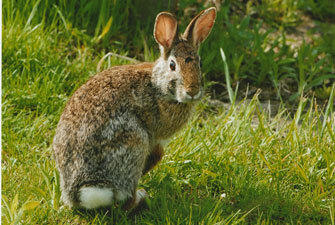 In it I mentioned renting a heavy duty mower to help me keep my wildlife cover from converting back to trees. In my case, I am not in a good position to conduct prescribed burning (though I plan to try) or disking, but I can mow in rotation, in late winter and still keep some cover in fair shape. He e-mailed to say he had an older brush mower that he had become “too old” to run anymore and I could have it free if I was willing to come get it. I told him I couldn’t take it for free, but would be willing to come get it. Long story short, I hitched up my trailer one day over the holidays and rode to Chesapeake, about 3 hours for me one way, but well worth the trip. I got a used, but very good condition walk behind brush mower for a low, but fair price according to my friend. It will work great for keeping my habitats from being overwhelmed by trees, and also for mowing fire-lines. Friends helping friends is what it takes. A quick habitat note: most mornings rather than watch the news, I sit on my front porch and watch the day take shape (as long as it is above 25 degrees). One morning last week I watched a Cooper’s Hawk glide with his tell-tell quick three or four wing beats followed by soaring and then repeated, just a few feet off the ground. He flew into the woods west of my driveway and as he entered the woods, an up roar of song birds exploded from within. Every cardinal, towhee, chickadee and tufted titmouse in there blew out, crossed my yard and flew into the thickets I have established along my yard edges. The cardinals flew out so fast their wings sounded like a covey of quail. This year’s challenge for you all – tell a neighbor about the importance of thickets and then help them create some. God Bless all of you and Happy New Year. It is arguable that a person could not be in this quail business without being an optimist (or perhaps delusional). Many well-intended folks threw in the quail towel years ago. But “diehards” remain. In the articles I have written over the years I have always tried to focus on the positives. My fear was that too much pessimism would cause the few remaining quail enthusiasts to abandon ship. But “rose colored glasses” are not doing us any favors in quail recovery. The situation is dire, and in spite of enormous efforts, quail continue to decline in all 25 states that comprise the National Bobwhite Conservation Initiative (NBCI). Large portions of Texas are reporting increased quail numbers this year largely due to favorable weather (In parts of Texas, when it rains, it pours quail). Portions of western Kansas, where hundreds of thousands of acres of native mixed prairie abound, still harbor impressive quail populations. And in north Florida and south Georgia, across over 350,000 acres of quail oriented conservation easements primarily under the supervision of Tall Timbers Research Station and Land Conservancy, bobwhites are doing exceedingly well. This is a result of intensive management on a large scale. And even in Virginia, in portions of counties where years of conservation work overlap with favorable timber management practices, quail thrive. But in much of the rest of the heavily populated eastern seaboard, the decline continues at rate of between 4% and 7% per year. It’s time to take off the rose colored glasses, wipe those lenses clean, take a stiff drink of coffee and look at the situation with a degree of realism. To do less is a disservice not only to the bobwhites themselves, but to those of us who work hard under duress trying to do the impossible. First of all – these species did not come back overnight. When you examine the history, it took 50 to 75 years of concerted efforts on the part of many entities to “bring back” these great animals. Further, the landscape we live in today, largely by accident, favors deer, turkey, bear and other animals far more so than quail, grouse, woodcock or golden-winged warblers. And this is not likely to improve on a large scale (there are some “unlesses” I’ll talk about in a minute). If you examine human population growth and growing global demand for food, fiber and wood products it won’t take you long to figure out that forestry and agricultural intensity is going to increase. This means “cleaner and cleaner” farms and timber plantations, and by “clean” I mean cleaned of competitors for water and nutrients. 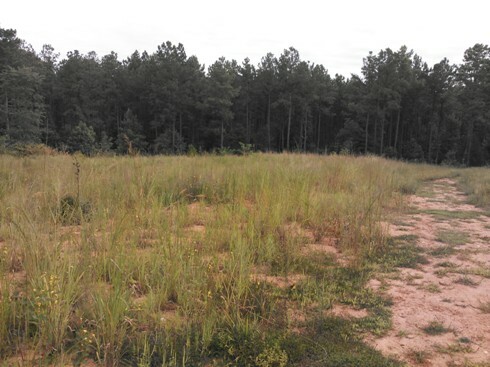 In short, things that compete with crops and pine trees like blackberry, broom sedge, partridge pea, plum, sumac, beggar weed – those things that landowners tend to want to bush-hog, or spray to control, will be reduced on our landscape. And of course these same things serve as critical habitat for dozens of declining species like quail. Our dilemma as humans is that we are always pitting our short term gains as individuals against our long-term survival as a species. And big money tends to cloud our view of anything beyond the next decade. So what keeps me in this game? What allows me to continue to go for it on 4th and 6? It’s the “unlesses” I mentioned. One great thing is most of the land in Virginia is privately owned by individuals. This means that they can make choices that favor quail if they choose to. The big money entities cannot force landowners to manage their land any particular way. Quail will continue to decline in my home state unless a major campaign is undertaken to educate “the masses” to the value of thickets, weeds, native grasses, wildflowers and brush. 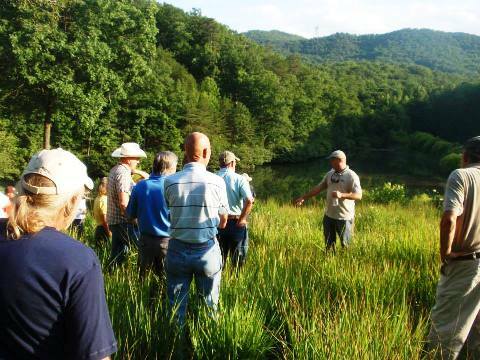 Much as we have educated generations to value mature forests and wetlands, we must educate current generations of landowners about the value of transitional habitats. Landowners must come to know they have choices and what those choices are. 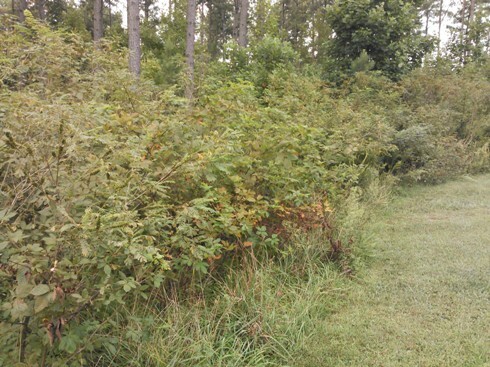 For example, fall mowing (Bush-hogging) runs rampant over Virginia every year. By simply changing the mowing to late winter or early spring (February to early March), and not mowing it all every year (but mowing in rotation, 1/2 or 1/3 annually), positive changes will be seen in your wildlife populations. season, non-native forage grasses like fescue, as a landowner you make the decision to convert 20% of your forage base to native warm season grasses, mixed with legumes, you will become part of something bigger than yourself. And consider that when you are deciding how to prepare to replant your recently clear-cut pines, you choose less intense herbicide options. Yes, this may cost you 5% or 10% of your future timber income, but you may be OK with that if you know your choice benefits bobwhite quail. I am optimistic that landowners will make good choices when they know what those choices are and what the costs are. So what does our quail recovery effort hope to accomplish? Why not give up if we feel widespread recovery is not likely in the short term? Because it can be done in the long term if we do not give up. Our goal now is to “hold the line” in as many places as possible. We are trying to build some pockets of wider success (in keeping with NBCI’s Focal Tiers concepts and to demonstrate that it can be done with habitat), and establish some source quail populations in areas where they are nearly extirpated. Our quail efforts are focused for a reason, and what we do now we hope will set the stage for wider scale recovery when landowners are awakened and excited about the choices they can make on a large scale to impact our environment for decades to come. There are no silver bullets and chasing red herrings is costing us dearly. The time is now to refocus on spreading the message on a grand scale, sparing no expense, that transitional habitats matter. Happy Fall to everyone! Though I do not like the shortening days, I do love college football (and if the Texas A&M / South Carolina game is any indication – what a season we are in store for), dove season, fall colors and cooler weather. I titled this month’s post the way I did because I want people to know many of us in this profession do try to practice what we preach. There is no substitute for “doing” to truly learn how to accomplish something. This month I hope to let photos do some of the talking for me. I wrote last year about the start of my small home project on a logging deck below my house. But I have been working on all aspects of my project for 10 years now. My goal was to develop my small property into a microcosm of a larger farm field. All totaled, counting my yard and logging deck, I have about 2 to 2.5 acres in this project. All managed with hand tools and small yard equipment like a back-pack sprayer, walk behind seeder, and lawn mower. 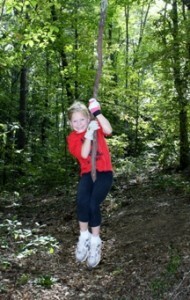 I am battling numerous invasive species, but I am winning, or at least adapting. It’s a work in progress, but it is at a point now where I can bring landowners to see it and show them everything they’d need to do on a larger scale to create a quail haven (and songbirds, pollinators, etc.) on their farm. Picture 1) My “yard border” – yes, it includes some invasives like sericea, but also showing up this year were wild senna – a great August blooming yellow flowered legume — and mist flower, a great pollinator plant. This edge resulted simply from letting the disturbance go after it was a logging road. I seeded a cover crop of millet on it and this is its second growing season. 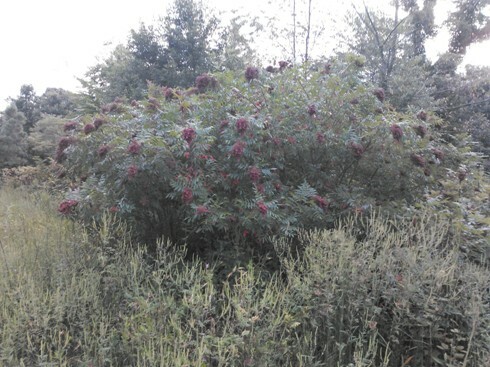 Picture 2) Winged sumac thicket – sumac is an EXCELLENT mid-summer pollinator plant, it makes great summer loafing cover for quail and songbirds, rabbits love to eat its bark during winter and quail eat its seeds, too. It does not make great winter cover because it becomes sparse, but it is a great plant to have…and it tends to keep less desirable plants at bay – I have yet to see ailanthus come up within a sumac thicket. Picture 3) This is my native warm season grass logging deck. 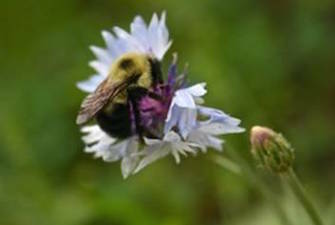 This year making its first appearance was bee balm, or wild bergamot – an excellent pollinator and seed producer. I also had a lot of black-eyed Susan, some Indian blanket, and now blooming well – a ton of partridge pea. Partridge pea is not only a great bugging cover for quail chicks, it also produces a good winter food seed crop. 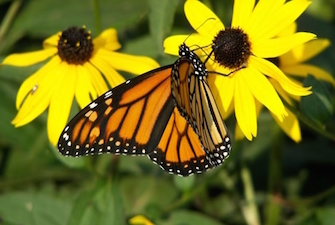 And while we all know how much pollinators like its blooms, the larvae of many butterflies feed heavily on the plant itself. There is still a good bit of bare ground on this deck in places, making it good for quail. Notice the logging road which has now been seeded 3 times with fescue and ryegrass is still 50% bare. 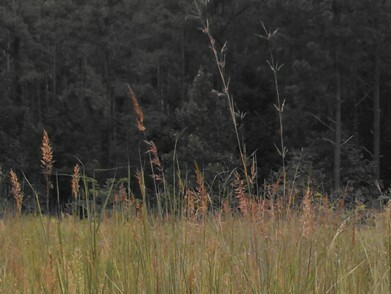 These native warm season grasses tend to do well on your poorest sites. Picture 4) This is a close-up of Indian grass and big blue stem. 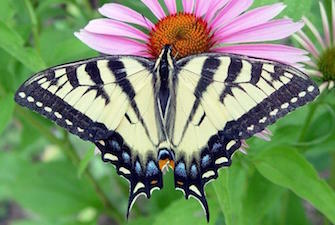 There are two tier, one butterfly species in Virginia – meaning they are species of great conservation concern. One is called the Arogos skipper and guess what its larvae feed almost exclusively on? Big bluestem grass. Picture 5) Thicket cover and edge. This is a shot of where I planted indigo bush about 11 years ago, it is now also grown in very well with blackberry, and though you see fescue on the edge of it coming from my yard, underneath it is open and free of grass – the shrubs having done their job of shading it out – along with some spot spraying by me during times when the shrubs were dormant, but the grass was growing – like late October. The shrub loving song bird diversity around my yard is fantastic – I often see towhees, brown thrashers, field sparrows, yellow-breasted chats, white eyed vireos, cardinals, and more. Picture 6) Un-mowed mess. Yes, this is an un-mowed mess – exactly what I wanted. I still have work to do in getting rid of fescue, but the area is providing some wildlife cover, and it is saving me from mowing an additional 1/3 acre every week. I mow it once during late winter every other year with a rented walk behind brush mower. In this small “habitat project” I have also had quail, though they did not stay. The satisfaction I have obtained while watching this project grow, pardon the pun, has been enormous. I can now show any landowner in a very small area what they need on a larger scale to have multiple coveys of quail. I have also been able to test some ways of controlling invasives – a work in progress. More than anything I think I can show them that these grasses, thickets, weeds and brush are so much more than that. They are habitats to be cherished and valued. Before I bite into the meat of this post, I want say what a privilege it was to serve as chair of the National Bobwhite Technical Committee these last two years. The years were not without substantial challenges, but with such a fine group of steering committee members, NBCI staff, subcommittee chairs and general NBTC members, there was nothing we could not work through. I thank all those who helped me along the way, tolerated my stress, and persevered with me. I look forward to continuing on the steering committee as past-chair through 2016. I also want to thank Todd Bogenschutz, of the Iowa DNR for the great job Todd and his staff and partners did in hosting the 20th annual meeting of the NBTC in Des Moines Iowa last week. Superb job gang! Now to the title of my post – Volunteer Quail Departments. It struck me recently that what we are trying to do for quail, that being to develop locally led, community sponsored wildlife conservation, is not unlike the Volunteer Fire Department model. Their model works well and I think it needs to be applied to quail, and perhaps to wildlife conservation in general on private lands. Not every community can afford a full time, professional fire- fighting staff. In fact, most communities can’t. But what they can do is organize volunteer fire departments. These departments rely on government to help them fund equipment, provide training and generally facilitate their efforts, but they are self-driven and rely on local leadership to flourish. They also conduct fund-raisers of their own that contribute significantly to their ability to serve their communities. I have mentioned in as many places and venues that I can that if you’re sitting around waiting for the government to come rescue quail on your land – you may be waiting a long time. We basically have a “skeleton crew” when it comes to quail recovery. In Virginia there are about seven of us that work most of the time on quail, but none of us work full time on quail. In addition, we have many partners that contribute some of their time to various forms of early-succession wildlife recovery. There are 47,000 farms in Virginia. The math does not add up. At best, we can facilitate, encourage, provide technical expertise and in many cases help secure funding, but the proverbial “quail buck” stops with the landowners. We cannot be everywhere at once and with the huge number of counties each of us covers it is hard to avoid the occasional landowner falling through the cracks. A note on that: if you are a landowner who feels like you may be one of those that have fallen through the cracks, please pick up the phone and let us know – we are human, we make mistakes. When we started the Quail Management Assistance Program, we envisioned dozens of locally led efforts, spreading “quail quilts” over large areas of Virginia. I still believe that is possible and will ultimately work. One of the most recent and best examples is the “Botetourt County Quail Quilt.” Their effort is an example of a “volunteer quail department” at work. 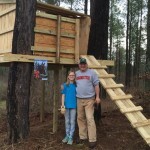 Built around the Longbeards Chapter of the National Wild Turkey Federation, it is a community led effort assisted by private lands wildlife biologist Andy Rosenberger, DGIF District Biologist Dan Lovelace and several other partners. When he first contacted me, Chairman Ed McCoy was a bit shocked at my candor. When he asked what their chapter could do to help us, my answer was perhaps not what was expected. I told him that what we did NOT need was another chapter of an NGO raising money to hand us a check to go do great things with. Furthermore, we did NOT need a chapter to buy more equipment for our small staff to then have to haul all over the state, taking even more time from their ability to visit new landowners. I went on to say what we DID need were locally led teams of people willing to work closely with their neighbors and actually help them implement conservation practices (H.I.T. – Habitat Implementation Teams). I told him that we DID need people with equipment in the local area willing to loan it to neighbors, or we DID need a chapter to buy equipment and learn to use it, and then volunteer to help others use it locally. In addition, we DID need groups of people willing to learn about the habitat requirements of quail and then be willing to fill in the gaps, making landowner site visits when demand was too high for our staff to meet. 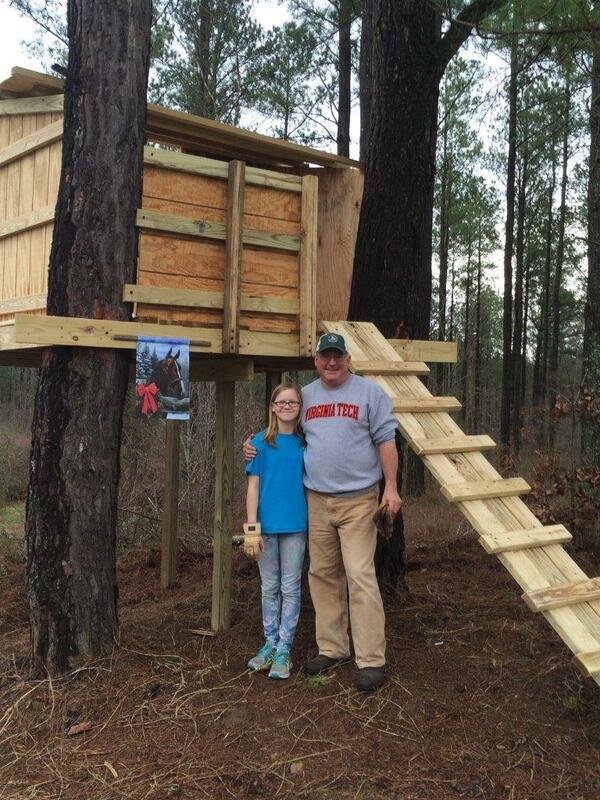 If you are interested in forming one in your area, note that they can be built around a chapter of a non-governmental organization like NWTF, Quail Forever, Quail and Upland Wildlife Federation, The Ruffed Grouse Society or others. By working through an NGO you can get help with fund-raising and promotion. But you do not HAVE to go through an NGO. Your group may choose to develop your own totally local effort. Regardless, I believe this is the way to large scale quail recovery – locally led efforts that focus habitat work, capitalize on government assistance and become force multipliers building a cadre of community volunteers capable of independent operation on behalf of bobwhites. … a veritable volunteer quail department at the ready to go light quail fires, not put them out. Some would say that the phrase “successful failure” would be an oxymoron. I would not. Some may say that makes me the last half of the last word in the first sentence. Time will tell. Our quail recovery initiative has hit the 5 year mark here in Virginia. As hard as we have worked and as much progress as we have made, many may still consider us a “failure” because their sole measure of success is restoration of quail throughout the entire Commonwealth. Well…that won’t be done in 5 years, or 10…it may take 15 or 20, or 25 or more … as it did for deer, turkey, bear and others. I know I am very proud of our quail team. And the key word is TEAM, and the dozens of landowners, conservation professionals, non-governmental organization members and other entities comprising it. And I believe if we have been a failure we have been a remarkably successful failure. In fact, I’d be proud to be associated with failures of this magnitude. Indefinitely. And I would further say if we continue to fail at this rate, we’ll restore quail in my lifetime (I am 51 now – this is if I live to be 71 – and there are no guarantees on that). Last year our quail team was presented the 2013 Merit Award by the Virginia Society of Soil and Water Conservation. The award was given to us for team building and partnership. Our core quail team consists of the Virginia Natural Resources Conservation Service, the Conservation Management Institute at Virginia Tech, our private lands wildlife biologists and the DGIF small game team. Many, many others are part of this team and have graciously partnered with us over the past five years. What have we done? For starters over the last 5 years our private lands wildlife biologists have made over 2,000 site visits, to almost 1,400 unique landowners, writing over 1,200 management plans, participating in over 950 outreach events, and created or maintained over 33,400 acres of early-succession habitat. This represents $4,307,900 dollars in cost-share – or an average of about $128.00 per acre of habitat. The landowners they have worked with collectively own over 229,000 acres of land. 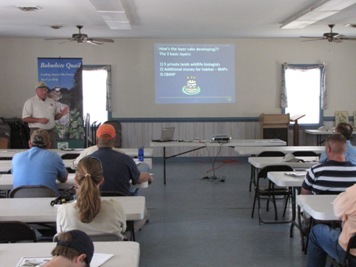 During this same time period we distributed over 2,000 promotional DVDs, over 2,000 habitat management DVDs, conducted workshops for more than 525 people, enrolled 320 landowners in our Quail Management Assistance Program, have appeared on Virginia Farming several times, have had articles on quail recovery in all major newspapers and magazines, organized the Virginia Quail Council with 28 signed conservation partners, worked with the Virginia Department of Forestry to implement a new wildlife friendly forestry best management practices program, completed two research pilot projects, planned for new research, helped develop several quail habitat demonstration areas, supported prescribed fire training for all our staff, continued our yearly quail surveys, and simultaneously enhanced our survey methods to include numerous species of early-succession habitat associated song-birds such prairie warblers, field sparrows, and towhees. Simultaneously, several of our staff have held office in the National Bobwhite Technical Committee, and its strategic implementation component, the National Bobwhite Conservation Initiative. Virginia is one of seven pilot states testing NBCI’s new model focal area program – designed to document the association between habitat and quail, and to provide opportunities for even small, quail-range outlying states to show meaningful progress. And in summer 2013 we hosted the 19th annual meeting of the National Bobwhite Technical Committee with help from many of our members and sponsoring entities. Along the way our Virginia Quail Council members also collected goods and sent care packages to our troops in Afghanistan. The 4th Brigade Combat Team (Airborne) 25th Infantry Division presented a Certificate of Appreciation and Unit Flag to our Virginia Quail Council. I think no species has allowed wildlife professionals to train more landowners or partner agency staff about real wildlife habitat management than has the bobwhite quail. When we go back to Aldo Leopold’s “fire, cow, ax and plow” as the basic four wildlife management tools – the bobwhite has allowed us to bring those tools and many modifications to more landowners than any other species I can think of. Thanks to everyone who has supported us in these efforts over the past 5 years, and we hope you will continue to support us in the future. Members of the Virginia Quail Council include: Virginia USDA NRCS, and USDA FSA, Conservation Management Institute at Virginia Tech, the U.S. Forest Service, Virginia Tech College of Natural Resources, Quail Forever, Quail and Upland Wildlife Federation, Virginia Department of Forestry, the National Wild Turkey Federation, the Ruffed Grouse Society, Angler Environmental, the Nature Conservancy, the National Audubon Society, Virginia Department of Conservation and Recreation Divisions of, State Parks, Natural Heritage and Soil and Water Conservation, including the Agricultural Cost-share Program, Virginia’s Soil and Water Conservation Districts, Virginia Department of Mines, Minerals and Energy, Virginia Cooperative Extension, Virginia Department of Transportation, the U.S. Army Corps of Engineers, Dominion Virginia Power, American Electric Power, Quantico Marine Corps base, U.S Army – Ft. Pickett and Ft. A.P. Hill, U.S. Army Radford Army Ammunition Plant, American Woodcock Initiative, Reese, River Birch and Falkland Farms (Halifax County), Central Virginia and Rappahannock Electric Cooperatives and the Wildlife Foundation of Virginia. conduct wildlife surveys and monitor their populations.Invariably I’ll have at least one or two people stop and ask me what I am doing. When I tell them they almost always reply “Man, what a cool job, you got it made” and then drive off. Hard to argue with that most of the time…unless you factor in the stress that comes from trying to bring back an entire species across land areas measured in hundreds of thousands of square miles. Especially if you really care about these little chicken-like birds we call bobwhites. As I drove around today between stops I could not help but to think a little bit about what those soldiers, airmen and sailors were thinking about 70 years ago when they got up at 3:30 to run headlong into danger. Today of course is the 70th anniversary of D-Day. I also wondered what would they think of what I was doing? Would they think that anything I ever did was worth risking their life for? Truth is most of them were scared young kids who were not thinking of anything other than whether they’d survive the day, and then the next day, and then the one after that. Soldiers will tell you when the chips are down they don’t fight for God or country, but for each other. One other thing they’ll tell you – those lucky enough to survive that is, that upon returning to this world, it was the simple things they found they loved the most. An ice cream cone on a Sunday afternoon after Church, watching a Little League baseball game after work, the simple pleasure of driving a car, in a free country, on roads that belonged to everyone, and I’d be willing to bet, the simple whistle of a male bobwhite on a clear June morning. On this 70th anniversary of D-Day, I am glad I live in a country where plenty of people still care about the environment and our surroundings; and not simply care about what is here today, but what will be here for their kids on the 100th anniversary of D-Day, and the 200th. I am also glad that even though we do not always agree about how to conserve resources, we all agree we should be free to argue about it, even with our government, without fear of being purged, imprisoned or eliminated. I heard nine bobwhites singing this morning, along with many indigo buntings, field sparrows, prairie warblers, and even two grass hopper sparrows. My reports will be but one speck of data in an ocean of it that collectively allows us to make informed decisions about species management. But to me, those bobwhite calls are a part of my heritage and something I love. Something I also believe to be part of the thousands of American fibers that form the fabric that collectively makes up our way of free life … and worth dying for. I always used this question as an introduction before demonstrating and letting them use numerous wildlife management equipment like radio-telemetry gear, or quail traps, or a bear tranquilizing pole syringe (with no syringe attached). The adage “Tell me and I forget, involve me and I learn” applies. These events usually went well, but at the end I never felt like I had truly captured the essence of what the job is. That was until my wife and I bought land of our own. I, like many, had always dreamed of owning a small slice of this earth, or at least borrowing it for a few decades (the earth will own us all someday). Upon owning our 42 acres I came to realize I had taken a lot of things for granted as a seasoned wildlife biologist…because I knew how to make the land work for me to create the wildlife habitat and thus the wildlife I wanted. A big part of my job has always been helping private landowners evaluate and manage their land. 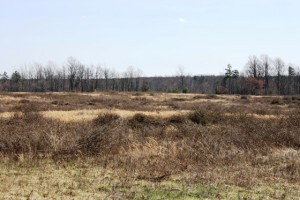 Whether it is strictly in the name of quail (great quail management tends to be great early-succession habitat management for dozens of species), or simply helping landowners conduct sound habitat management, one of our key roles is being able to guide landowners and help them achieve their goals. Over the years the most rewarding moments for me have been when that special landowner “gets it.” They see for the first time how habitat is not static, how manipulating it is not bad, how cover types interact, and that it takes some effort over time … but they can indeed learn how to manage their land to have their own wildlife paradise. In short, their dreams can come true. So as terribly sappy as it may sound, when my daughter asks me now what we do as biologists I can answer with a straight face, “Little Buddy – at least some of the time we help fulfill dreams.” At the end of the day, regardless of what species initiative we may be working on or what regional or national goal we may be working towards, we serve private landowners – citizens with personal dreams. All of you should be familiar with a “shell game.” No reference to my old setter, Shell, who played her own games when it was time to get back in the dog box. What I refer to is the simple old shell game. A dozen walnut shells, perhaps painted in bright colors to fascinate kids and hidden under one was a dime, or a quarter – back in the late 19th or early 20th century these weren’t amounts to scoff at. These games may have been used to entice citizens at county fairs to come in and then spend money on more elaborate games, always rigged in the house’s favor. (My daughter and I still attend our county fair every fall, and while some may say these fairs have become less than desirable places for families, I still find a magic in them worth sharing. But that’s another story.) However – what follows is a very simple shell game analogy as to how you should view your land and manage it to provide cover for quail. My belief is that they have adapted to using heavier cover than ever before, and that thicket cover is more important now to quail than it was 100 years ago. Remaining quail fly farther, faster and deeper into thickets than their predecessors. I’m also convinced that while we have undergone an enormous quail population decline, there are more quail out there than hunters find and they are in places where what I call “old time bird hunters” don’t really go. So what about this shell game theory for quail thicket management? If you think of a quail covey as the dime and thicketsas the walnuts they hide under, as a predator would you rather have to look under 2 walnuts, or 20 to find your covey? It is estimated that 25% of your land needs to be in some form of thicket cover to be ideal for quail. I suggest 10% to 15% is a minimum that is more workable for most landowners. The good news is, these thickets do not have to all occur in your fields. They can occur just as effectively within thinned and burned pines or hardwoods. The thickets within your cut-overs also count – which brings me to another point, using less intense site preparation herbicides when preparing to plant pines will help leave a lot of good blackberry and other thickets out in those cut-overs, and further down the road, within those thinned pine stands. So how do you visualize the arrangement of this cover? It’s best when it occurs randomly and well distributed throughout a property. One way I have illustrated this is to say visualize a checkerboard, with its red and black squares. If you were to number each square, then put those numbers in a hat and draw 15% of them out and paint each square whose number you drew green, you’d see random visualization of how thickets should be arranged on the landscape. I recall hunting in western Kansas back in the mid 90s – and how perfectly well distributed the plum thickets were. You really didn’t need a dog to hunt quail there (though shame on you if you don’t have one). All you had to do was look under enough of the plum “shells” and you’d find some quail to shoot at … and miss. Those that were missed had vast numbers of other coverts to fly to, thus making an attempt to relocate them harder. … Or, How do Bobwhites Fare in Bad Winters? The topic on everyone’s mind these past few weeks has been, “When will this blasted winter ever end?” Few Americans escaped winter’s effects this year. 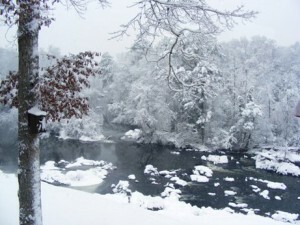 In my home state of Virginia it has been one of the worst 3 or 4 winters in my 51 years of breathing air on this planet. I do recall back in the late 1970s a couple of winters in southwest Virginia that were severe by most standards. Of course, compared to Wisconsin where quail used to thrive, and where some important early research was done on quail (Paul Errington – Aldo Leopold’s first doctoral student in wildlife), I suspect our winter would not have been considered severe. I won’t get too scientific on you, partly because I don’t have a great deal of time to really delve into old literature and see what I can find about winter weather’s effects on bobwhite populations. But also because I prefer to take a practical approach whenever possible. I picture a bobwhite covey out there making a snowman of their own, using partridge pea seeds for buttons, of course, lespedeza for eyes and maybe a beggar weed pod for a long nose. Sorry, I’m digressing. Bobwhites occur in a very wide geographic area – from Mexico all the way into the northern prairies and east through Michigan, Wisconsin and even into southern Maine at one point – though I doubt many occur there now. Obviously, they can adapt to extreme winter weather. Some say, perhaps, that a Texas quail is vastly different from a Wisconsin quail, but in reality those who get into sub-speciation are truly hair splitters –the similarities among sub-species far outweigh the differences. What we do know about bobwhites, as for just about any other animal, is that when they become stressed by cold they need more calories to maintain their body heat. Guthery (2000) in his book “On Bobwhites” (available in NBCI’s online store at https://bringbackbobwhites.org/donate-2/online-store) states that at 32 degrees (F) a bobwhite needs 50 kilocalories a day to maintain itself. This equals about 550 milo seeds per bobwhite. Of course, bobwhites have other ways of mitigating for cold weather. They roost at night in a tightly packed disk which helps them conserve heat, among other things. They also seek areas where cover and terrain gives them protection from winds. During the day they may seek small micro-climate areas on southern slopes where the sun provides some thermal relief. And, of course, they eat more. All wild animals are extremely resourceful when it comes to surviving, but they can and do reach a point when cold weather becomes deadly…well at least it is the proximate cause. I would argue the ultimate cause is often the fact that they inhabit “sub-optimal range.” In layman’s terms that means their habitat is not adequate. During the mid-1990s I was a field crew leader on a Virginia quail study involving numerous bobwhites with radio-transmitters affixed during February. We were actually able to track them through 2 substantial snowfalls during the first and third weeks of February that year. We found they shifted their range and moved into pine forests where heavy cover limited snow depth and also where numerous greenbrier thickets occurred. We did not do a food analysis, but assumed that they were feeding on abundant greenbrier berries, as grouse often do. There were a couple of occasions when we did believe quail died due to exposure. 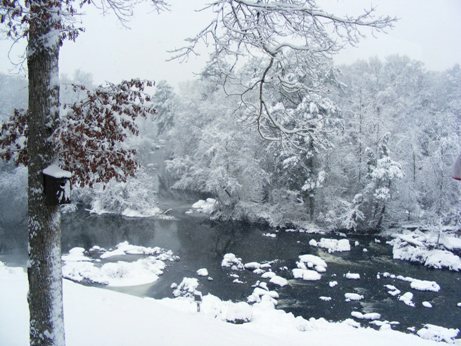 These were instances when the weather changed rapidly, going from very warm to very cold overnight in late winter – similar to some conditions we have seen in Virginia this year. In Oklahoma, during a study in the early to mid-1990s (Peoples et al., 1994 – Progress Report Packsaddle Northern Bobwhite Mortality Study), researchers found that as much as 19% of winter mortality was due to severe weather. However, when averaged out over all seasons and areas, weather only accounted for 2% of annual mortality. When an average quail population suffers 80% to 90% mortality annually – which is a now a known, well-accepted fact throughout much of their range – it would seem that winter weather overall is a minor mortality factor. I believe that to be true here. This winter’s weather probably did kill a few quail. But quail are adapted to high mortality rates and if they have adequate habitat and a good nesting season, they can bounce back faster than a super ball coming at you off a brick wall. Our primary problem here in Virginia has been, and continues to be, too little good quail habitat. Other factors compound this problem. 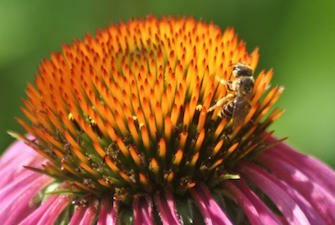 New research on neonicotinoid (nicotine based) pesticides suggests they could play a role. 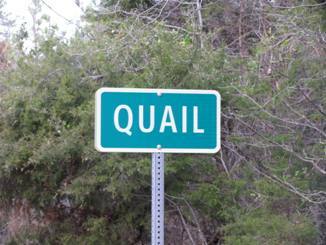 Regardless of other factors, quail can’t survive on concrete, asphalt or fescue. Every landowner’s best insurance for having quail year-in and year-out is to have excellent quail habitat. And as much of it as you can stand. Shell’s Covert: Time for a Little Less Talk and a Little More A.C.T.I.O.N. In a much less dramatic context, I use the word A.C.T.I.O.N. as an acronym for how landowners should approach their wildlife management projects. You — and that means you landowner — need to have an aerial photo, or access to aerial imagery that allows you to see your land from the “helicopter’s” perspective. And not just your land, but how your land fits into the landscape around it. It should be as up to date as possible and with today’s technology it is not hard to find an image no more than a year old. Assess also represents assessing your goals – what do you want out of the management? 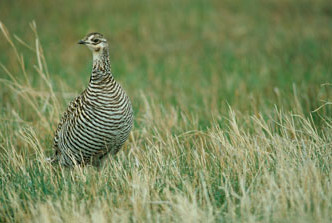 With regard to quail, do you want a few coveys to see from time to time or hunt occasionally? Do want enough quail to hunt routinely? Or would you be happy just having one resident covey of quail? These questions will have a bearing on your actions. In some cases your goals may be unrealistic based on the land you have. In those situations – maybe you can manage for another species. To further your assessment, bring in the professionals. Consult with your private lands wildlife biologist, your forester, your Natural Resources Conservation Service specialist and others if necessary. The more you prepare before their visit and the more you know about your goals, the more you will get out of their visit. In some cases I have shown up to a property, asked the landowner about their goals and the reply was “We just want to do something for wildlife.” I have grown better over the years at asking subsequent questions to help the landowners determine their goals. But the bottom-line is you need to think ahead about what you want from the property. There is nothing at all wrong with buying a piece of property and simply walking through and enjoying it … and not managing anything on it but your time. This won’t get you any quail, though. If you want quail and their species associates, some actions will be required. How will you produce the desired habitats to bring onto your land the types of animals you’d like to see more of? How will you maintain those habitats? What tactics, otherwise called management techniques, will you use, when will you use them, and how will you make them happen to produce your desired outcome? Your consults with professionals and personal research should lead you to the answers. This is a big part of the job for our private lands wildlife biologists, and for our district wildlife biologists in some cases. 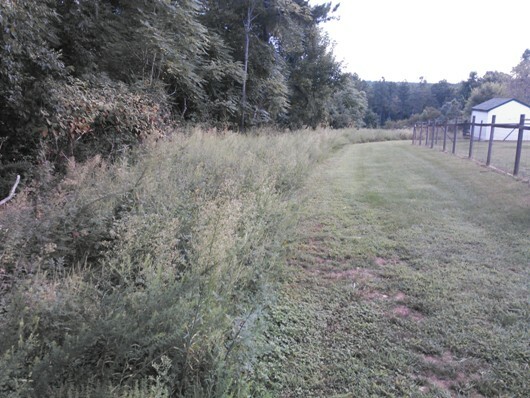 Tactics begin with some broad brush, general situations that occur throughout much of Virginia, such as how to convert fescue to better wildlife habitat, how to properly manage pine or hardwood timber for certain wildlife species. From here things become more specifically tailored to your property. Once this general overview and basic outline for managing your property is determined, this is where an agency biologist, or a private contractor if you prefer that option, can prepare a long-term wildlife management plan for you. It is important to note that it is impossible to get every detail into a written management plan. Much of the future management and maintenance of habitats depends on conditions that change, weather patterns, etc., so don’t try to plan every detail. Base your future management on the “O” in our acronym. Short and sweet – Without initiative none of the above will happen. The laws of physics apply – things at rest tend to stay at rest. Same with people. Get off the couch, put the laptop down and get outside. And what about taking the kids with you? I have said before and at the risk of being repetitive – the government folks like me can help, advise, recommend, teach, help develop favorable policies, and encourage, but there are too few of us to show up and get it done for you. Observe your management efforts. Evaluate the results. 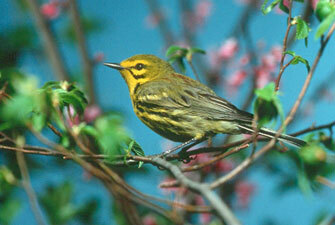 Re-assess every year, and modify management as needed to continue to keep the habitats you want. Don’t hesitate to bring the professionals back in to help observe and re-assess. I personally prefer relatively general management plans that require landowners to be engaged and to actually learn how to assess and modify management based on existing and expected conditions. The old adage about giving a man a fish versus teaching him how to fish applies. This leads us to our last and maybe most important letter. The first thing a landowner has to do is learn to love the management. If the work becomes something you enjoy and look forward to, you’ll continue to do what is necessary. But if the work required is something you loath…chances are you will not be able to keep the management up. In my Army days the training sergeants and later our platoon sergeants had a saying “You have to love the training men; you have to make friends with it.” I also recognize that not every landowner is in the physical condition to do the work on their own. In this case, private contractors can be used to help continue the work. In many cases, cost-share programs help pay for these efforts. Like any other worthwhile goals in life, wildlife management goals need long term commitments of time, funds and energy. But it can and should be fun!